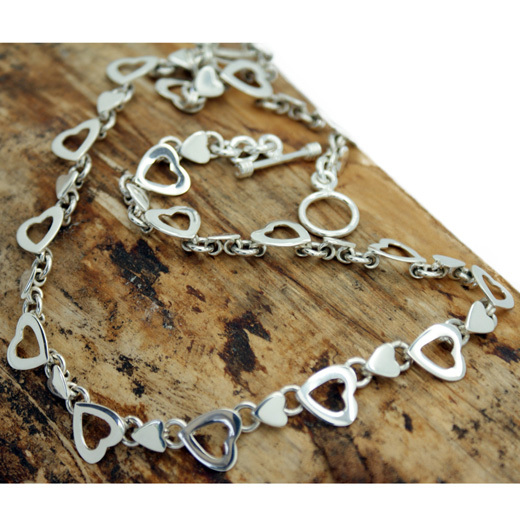 This is a very pretty open heart and solid heart design necklace. 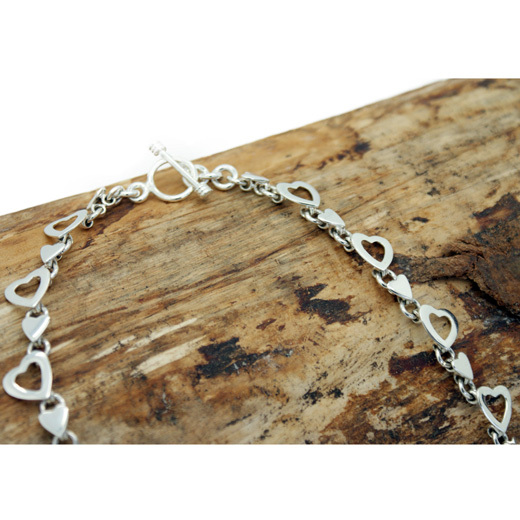 Each heart is linked by a solid 'O' ring with two solid links each side of the ring. 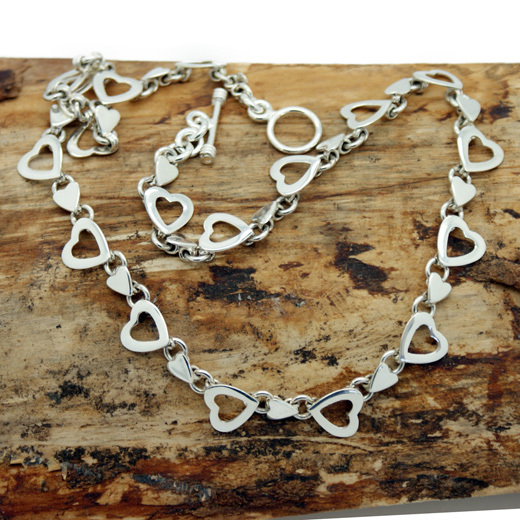 This attractive and stunning handcrafted necklace from Andea Jewellery is made entirely from 925 sterling silver and fastens with a solid T bar toggle clasp. It would be an ideal Christmas, Valentine or anniversary gift. Andea offer high quality hand made Mexican sterling silver jewellery. They have an eclectic range including classic, new and unique designs. 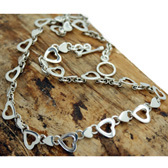 This is a high quality, Andea sterling silver necklace and great value. Like all of our products, it is brand new and in stock in the UK, ready for our super fast shipping. We also have a matching bracelet on this page. Not exactly what you are looking for? 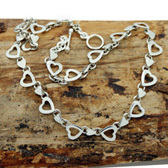 We have a wide range, see the womens silver necklace gallery for other options.